Clinton, FBI, Trump, Snowen and Russia… – Dr. Turi M.D.U.S. 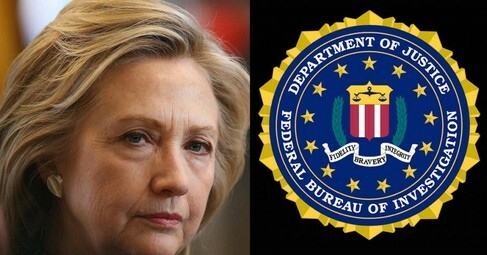 After her envisioned STUNNING defeat Hillary Clinton blame the FBI Director? And you are gullible enough to accept this as the only truth? I knew corruption reign in the FBI matrix and I also know, they do not pay attention to my predictions of terrorist attacks! Even when the undeniable proofs are well documented in my articles “Terrorism Predictions and the FBI” and offered on national radio! May 19, 2016 radio show: Dr. Louis Turi is our first guest and we cover his ET contact throughout his life, in detail. We then discuss how he developed his ability to do predictions with accuracy. He had sent us info on May 20th and what may happen… that it would be terrorist related and during the show the Egypt Air dropped off radar…very interesting…he also gave us a prediction for May 27th, 2016. I can only go so far can I go divulging the divine to the public without risking my life. As long as the system keep me “electronically under-ground,” Terania and I are safe in our home loaded with security cameras. Thus having a wider voice would be signing my own death warrant! And this is why I decided to stop offering my visions to the public but not without offering another undeniable SHOCKING prediction to the public… Secret Service whisks Trump – ASSASSINATION PREDICTIONS! My stats are very clear when pointing out ONLY TWO regular returning hits from places like Moscow in Russia and Beijing in China! Unlike the rest of the world, only their secret services is visiting website 1 and website 2, because the regular citizens of those countries are not allowed to use the Internet anywhere else. Even the foreign secret services of those countries follow closely my work and visions when the rational American FBI who visited me TWICE ignore my obvious cosmic work. FBI WAKE UP! What I have to say about what REALLY transpired with Trump’s SHOCKING election is not only important but also scary! And while the world should know what really happened on November 8, 2016 election day, I am not Edward Snowden or under the protection of the Russian government! Not only do we have to worry about the system but also an endless chain of religiously poisoned idiots that could never be helped out of their fears! Both Google and Facebook have announced plans to go after the revenue of fake news sites, kicking the hoaxers off their ad networks in an attempt to prevent misleading the public from being profitable. On Monday, Google announced a policy update which restricts its adverts from being placed on fake news sites and Facebook updated the language in its policies. The social media site has been facing increasing pressure to improve the way it handles fake news after the election outcome, with reports saying some of the company’s staff have formed an unofficial taskforce to address the problem. While my visions should be seriously heeded, America is such a young, gullible, poisoned, religious country disconnected with God cosmic divinity! Subjects like philosophy, mythology, metaphysics, astrology, UFO’s are discussed openly all over European, Asia, even Russia and only in America it is perceived as taboo or only pseudoscience! Astronomy and religion rules all media and other matrix while the purity of the divine is misused for evil purpose. The religious and scientific matrixes indoctrinating matrixes took over all forms of scientific and spiritual information keeping the spirit jailed into fear and/or dogmatic traditionally “educated” deception… The True $$$$$$$$$$pirit of NASA. I already gave too much information about this deplorable reptilius infested psychical manipulation over the years and I can only continue this long, educational newsletter in the cosmic code private website for our VIP’s. If you are a truth seeker, maybe you will make good use of the current “Super-Moon Super-Deal Personal Predictions” and join us! I am offering those spiritually inclined readers the biggest super moon and gravest omen since 1948 and only those able to perceive the power of the moon over humankind affairs and all life on earth, will share my work for the sake of tomorrow generation! Time to give due where due is due and support Dr. Turi’s cosmic wisdom instead… FTC: These charities are shams, Help Dr. Turi instead! What will 2017 bring you and those you care?